The beautiful steely blue of twilight 40 minutes or so before sunrise hung over my favourite mainland Scottish beach, Mellon Udrigle. 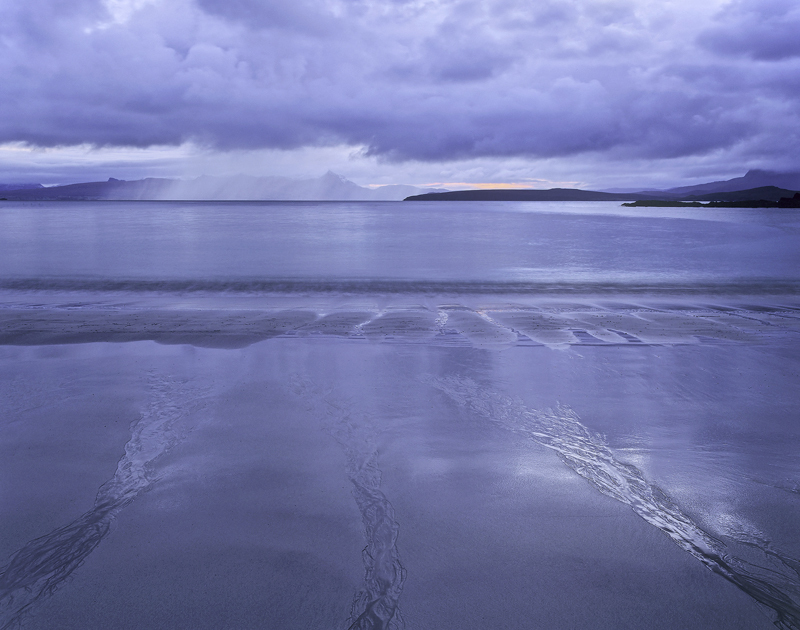 Triple channels of water drained through smooth wet sand forming tracks to the horizon where an almighty rain storm burst over the Inverpolly peaks. Love the mood and atmosphere and the moodiness of the entire scene.